Hey there! Today we have Abigail telling us all about her favorite Halloween movies! I looove the Corpse Bride but have never seen Over the Garden Wall. I will be adding that to my list for sure! Have you seen these movies? What do you think? Head over to Amy & Brittany’s blogs to see who they have featured today! Don’t forget, we are hosting wonderful bloggers & authors for two whole weeks with recipes, book recommendations and a lot more awesome! This month, to prepare for Halloween (because of course this whole month is about the wonderful autumn holiday) I’ve been watching weird, comedy and Halloween-like movies. I am not a horror fan, I just don’t handle it well. So for me these films are a good compromise for wanting to watch Halloween-esque stuff. Also because I had a strange childhood I didn’t see a lot of films that most people have seen, so this gave me a good excuse to catch up on all Tim Burton’s work. 😉 But without further ado, here is the first part of my list. We have Maggie from Macarons & Paperbacks telling us all about her favorite spooky podcasts. I loooove podcasts and some of these are my favorites, but others I haven’t listened to before! Check out what Maggie has to say and then head over to Amy & Brittany’s blogs to see who they have featured today! Don’t forget, we are hosting wonderful bloggers & authors for two whole weeks with recipes, book recommendations and a lot more awesome! I love listening to podcasts. I find that it’s a great way to fill up my time when I’m on my work commute or doing housework and I don’t feel like listening to an audiobook or putting on music. The podcasts I listen to tend to be of the historical or true crime persuasion, and some of them can get pretty spooky (especially when they’re about real life events). If you’ve visited my blog, macarons & paperbacks, you may know that I identify with Catherine Morland from Northanger Abbey: we both like to indulge in scary stories, specifically at night so our imaginations can get the best of us. I have one of my faaaavorite people on the blog today! Cassie from Rants and Raves of a Bibliophile! Cassie is here today to talk about two of my favorite things….witchy films and DRANKS!! Take a look at what we have going on today and don’t forget to head over to Amy & Brittany’s blogs to see who they have featured today! Don’t forget, we are hosting wonderful bloggers & authors for two whole weeks with recipes, book recommendations and a lot more awesome! Hi Everyone! It’s finally autumn and Halloween is just around the corner…EEEK. I’m ecstatically happy to be part of Fortnight of Fright this year. In this post, I have paired two of my favorite beverages with my most cherished films: Hocus Pocus and Practical Magic. I love witchy movies, and these two films hold a special place in my witch-loving heart. So I present to you the pairing of my favorite films with two amazing drinks that you can sip during a breakfast or brunch movie marathon. First up, I have Hocus Pocus paired with the Hallowed Ground Latte. This sacred coffee will open your eyes to another glorious morning. Sip this sweet coffee while you watch the Sanderson Sisters run amok around my favorite witch city: Salem, Massachusetts. Hi, friends! Today we have Anna from A Literary Potion with some great spooky book recommendations! Take a look at what she has to offer and head over to Amy & Brittany’s blogs to see who they have featured today! Don’t forget, we are hosting wonderful bloggers & authors for two whole weeks with recipes, book recommendations and a lot more awesome! October is the perfect time to curl up under a blanket with a hot chocolate to read a spooky book that will keep you awake into the small hours. I am a huge scaredy-cat, but by the time Hallowe’en comes back around, I have managed to convince myself to be brave and read a scary story. I’ve picked out three of my favourite books with spooky characters; a ghost, a vampire, and a long dead Welsh king. This book genuinely terrified me the first time I read it. It is one of those perfect books where the fear just slowly creeps up on you. It plays on the fears we all have, creaking floorboards and out-of-place smells. 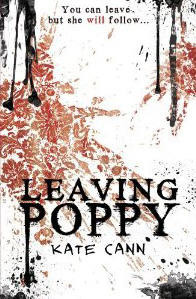 The eponymous Poppy is a manipulative character but also very suggestable; she is one of the creepiest characters I have read about. The plot is not very fast-paced, but it works so well at building the fear and suspense. Kate Cann is one of my favourite authors, and so underappreciated. This is one of the best vampire stories I have ever read. 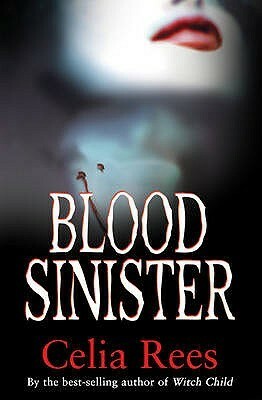 The author has created a book with a similar chilling feel to the king of vampire books, Dracula. It is written from two viewpoints, in the present day and in the Victorian times, and the vampire crosses both time periods. It is so realistically written, no dramatic scenes, just a slow process of realisation of what is actually happening. If you want a slow building vampire book, look no further. This book was slow to start off with but it got its claws into me and didn’t let go. I loved all the characters, especially Ronan. The friendship between the five main characters is one of my favourite things about this book, I love reading books about characters with strong friendships. 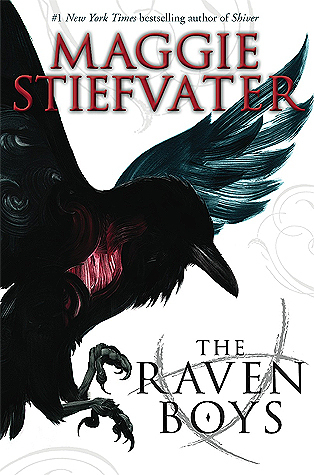 The plot is mystical and magical, a perfect Hallowe’en book without the scares. It has a lovely, autumnal feel about it, the book is basically the equivalent of being cosy and warm in front of a log fire. Hi, friends! Today we have Kathleen sharing a London tour about Jack the Ripper! I LOVE the mystery surrounding Jack the Ripper, so this was so fun to read! Take a look at what she has to offer and head over to Amy & Brittany’s blogs to see who they have featured today! Don’t forget, we are hosting wonderful bloggers & authors for two whole weeks with recipes, book recommendations and a lot more awesome! I love fall. I love everything about it, the cool weather, the leaves changing, Halloween, and anything and everything creepy. Fall allows me to let my “freak” flag fly and not have people question or look at me oddly when I say I love forensics and serial killers. I’m not a fan of serial killers, I just find them fascinating and want to know more about how they think and why they do what they do. I’ve been known to spend a whole day researching them. One of the killers I’m most fascinated by is Jack the Ripper. The fact that this case was never solved makes me even more intrigued. I’ve read so much about him and watched multiple documentaries about the murders, the evidence gathered, and whom they think did it. However, the thing I enjoyed the most was the two Jack the Ripper walks I did while I was in London. Hi, friends! Today we have Joannamarie from Wet Noses and Books with a great book review! Take a look at what she has to offer and head over to Amy & Brittany’s blogs to see who they have featured today! Don’t forget, we are hosting wonderful bloggers & authors for two whole weeks with recipes, book recommendations and a lot more awesome! “A boy and his ghostly twin sister work together to pass messages from the beyond in this funny paranormal debut. They’ve been working as a pair for years, expertly relaying messages from ghosts to their still-living loved ones. Baylor’s even managed to come up with an introductory phrase—one that he has to use far too often. Hi, friends! Today we have Chelsea from Books For Thought sharing great bookish costumes! Take a look at what she has to offer and head over to Amy & Brittany’s blogs to see who they have featured today! Don’t forget, we are hosting wonderful bloggers & authors for two whole weeks with recipes, book recommendations and a lot more awesome! I LOVE this idea! It’s great for couples! From Curious George. This one is especially great for kids! Hi, friends! 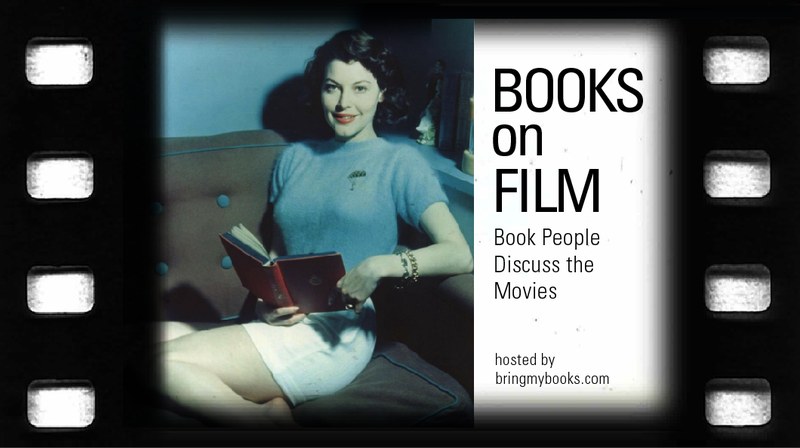 Today we have Lindsey (aka Bangs) showcasing her feature Book People Talk Movies! She is chatting all about The Lost Boys, and has made me want to go home and watch this immediately! Take a look at what she has to offer and head over to Amy & Brittany’s blogs to see who they have featured today! Don’t forget, we are hosting wonderful bloggers & authors for two whole weeks with recipes, book recommendations and a lot more awesome! 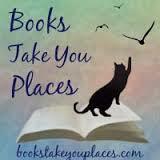 For info on my feature over on Bring My Books, Book People Talk Movies, click here! I can’t remember the first time I saw this movie, but I remember being immediately enraptured by every single scene. The whole thing is so quintessentially 80s I just can’t even (if you know me then you know how I LOVE the 80s!). I’ve never personally been into horror movies, considering The Craft one of the freakiest movies I’ve ever seen (seriously, nightmares for weeks). I will gladly take a rom-com or a period piece over a scary movie any day – so I always find it surprising when I end up liking (or in this case, loving) a movie that is billed as “scary” or “horror” in any way. Hi, friends! Today we have Shannon from The Champagne Was Excellent sharing an AMAZING mulled wine recipe…I cannot WAIT to make this! Take a look at what she has to offer and head over to Amy & Brittany’s blogs to see who they have featured today! Don’t forget, we are hosting wonderful bloggers & authors for two whole weeks with recipes, book recommendations and a lot more awesome! This is my very first guest post on a blog… I am so excited AND nervous! First, a pre-apology for the way I had to edit the photos. Guess what’s really hard to get good lighting for? Red wine. I’m not great with the scary/thriller/horror parts of the October season, but I AM great with the cozy/delicious/witchy/mysterious parts, so for this post, I’m going to give you one of my favourite recipes and some of my favourite books that feel like cold noses and red leaves and that deep breath you take the first time it SMELLS like fall… which is to say, they feel like coming home. Lets get to it, shall we? So, London is part of my DNA. London is a sentient being to me and it is entwined with my heart and soul. Longest story EVER, shortened- When I lived in Oxford for a semester, there was a pub that I went to almost daily and it’s where I had my first mulled wine. And then I cried for a while because that pub saved my life and NOSTALGIA. Mulled wine is amazing for any fall or winter party, but I also like to make a batch just for myself, so I can curl up on a cold night with a warm cup of wine and a cozy book.